This gift will enable the Quattrone Center to produce innovative new research that improves criminal justice policy in jurisdictions across the United States. The Quattrone Center takes an interdisciplinary, data-driven, scientific approach to identifying and analyzing the most crucial problems in the justice system and proposing solutions that prevent error and improve fairness. Its research and programs are independent and unbiased, engaging all system stakeholders to effect change for the better. The Charles Koch Foundation provides support for a variety of academic and nonprofit initiatives that seek to explore the criminal justice system, including research on access to justice for those of limited means, alternatives to incarceration, and the challenges facing formerly incarcerated individuals. The funding for the Quattrone Center will create a research initiative overseen and administered by the Quattrone Center’s academic director, Paul Heaton, an economist who uses quantitative methods to study issues in legal and criminal justice policy. The new initiative will include faculty-led research projects focusing on the causes of crime and effective public policies to address crime. The initiative will also fund visitors to Penn Law to conduct joint research with Penn faculty on crime and criminal justice policy. Visiting scholars will present their own work and collaborate in developing research projects with the Quattrone Center. The Quattrone Center’s post-graduate fellowship program, which currently supports four fellows, will be expanded, and fellows with primarily legal training will gain exposure to data and empirical analysis, while those with social science training will gain deeper expertise in the legal and institutional features of the criminal justice system. In addition, the gift will support the Quattrone Center’s effort to bring together prominent thought-leaders among the academic, judicial and practitioner communities for events and symposia to discuss key issues related to criminal justice policy and practice. Penn Vet has successfully raised $1.5 million to launch its Mobile Unit Initiative, thanks to support from foundations including the Bernice Barbour Foundation, PetSmart Charities and the John T. and Jane A. Wiederhold Foundation, as well as generous individual donors. Run by Penn Vet’s Shelter Medicine Program, the initiative will provide advanced care for animals in shelters and underserved areas in the Philadelphia region, as well as opportunities for community engagement. The state-of-the-art, 40-foot mobile unit will be operational in fall 2017. The lead grant of $600,000 from the Bernice Barbour Foundation provides support for a full-time veterinarian—to be named the Bernice Barbour Lecturer of Shelter Medicine—and a full-time veterinary technician dedicated to the unit for a period of three years. In honor of this commitment, Penn Vet has named the outreach component of the initiative the Bernice Barbour Foundation Shelter and Community Outreach Program for the duration of the grant. PetSmart Charities, the leading funder of animal welfare in North America, also supported the Mobile Unit Initiative with a grant of $210,000. In addition, they provided $474,000 for three years of funding for spay and neuter surgical outreach in shelters and the community, a large portion of which will take place in the mobile unit. The John T. and Jane A. Wiederhold Foundation kicked off the Mobile Unit Initiative fundraising campaign with a $150,000 challenge grant. The mobile unit will provide advanced care for shelter animals and at-risk pets in communities without access to veterinary care. It also will offer trap-neuter-vaccinate-return programs. In addition, it will serve as a real-world classroom for Penn Vet students and the community. When needed, the mobile unit can be deployed to disaster areas to provide emergency relief and to respond to animal cruelty situations. The unit will house a state-of-the-art surgical suite and will be equipped with advanced equipment and tools not readily available in most shelters. With the addition of the mobile unit, Penn Vet’s Shelter Medicine Program and its shelter partners will be able to make more animals adoptable more quickly—a life-saving outcome for the many homeless animals in the Philadelphia region. The mobile unit also will allow the Shelter Medicine Program to implement a comprehensive humane education and community outreach initiative with enriching experiences for local middle schools and high schools in Philadelphia. Established in 2006, Penn Vet’s Shelter Medicine Program provides consultative, educational and veterinary support to regional shelters and residents of the Greater Philadelphia community. The program has a significant impact on how many homeless animals are given quality care and placed into permanent homes. In addition, the program provides interdisciplinary and authentic instruction to veterinary students through the lens of shelter medicine, by integrating best practices in educational techniques and research with community outreach, collaborative partnerships and service learning. The University of Pennsylvania has announced a $1 million commitment from alumnus David S. Pottruck to establish the Penn Athletics Wharton Leadership Academy. This innovative new program—a partnership between the athletics department and the Anne and John McNulty Leadership Program at the Wharton School—was conceived by Mr. Pottruck to foster the leadership abilities of Penn student-athletes. 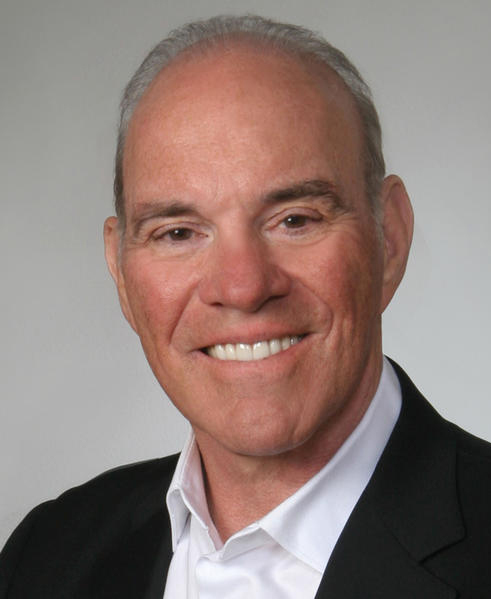 In addition, Kindred Healthcare president and CEO Benjamin Breier, a former baseball student-athlete at Penn, made a $500,000 gift to support the Leadership Academy. Mr. Breier has also been a key supporter of the Academy’s launch. The Leadership Academy program is a capstone of sorts for Mr. Pottruck, a business leader who is keenly aware of the unique abilities such a career requires. After many years as CEO of Charles Schwab, he is now chairman of HighTower Advisors, a wealth management firm he launched with other investors in 2008. In addition, he is the author of such bestselling business books as Stacking the Deck and has taught a popular course on “Leading Transformational Change” at Wharton for a decade. This latest in Mr. Pottruck’s long line of gifts to his alma mater reflects his deep commitment to Penn Athletics and Wharton. Once a standout student-athlete himself in wrestling and football, Mr. Pottruck has long credited his experiences at Wharton and on Quaker athletic teams as key factors in his success. The Wharton School continues to set the global standard in business education. The combination of Division I athletics with the nation’s first and pre-eminent school of business is unique to the collegiate athletics landscape and differentiates Penn from its Ivy League and national peers in providing a world-class student-athlete experience. The Academy’s curriculum will include lectures, workshops and experiential sessions generated through the collaboration of the athletics department and Wharton. Initial plans call for enrolling all incoming freshmen student-athletes in the program. After freshman year, student-athletes will continue based upon their interest and demonstrated leadership potential. Team captains and coaches will also participate in leadership development, creating a culture in which student-athletes and staff members share a common vocabulary and work symbiotically toward a common objective, in competition and beyond. At the end of the four-year cycle, a dozen senior scholar-athletes who have distinguished themselves as leaders in the Leadership Academy will be named Pottruck Fellows. Upon receiving this honor, members of this fellowship program—“the best of the best,” in Mr. Pottruck’s words—will commit themselves to mentoring Academy participants during the next three years. “The construct and purpose of the Pottruck Fellows program is the perfect marriage of Mr. Pottruck’s passions and the values of Penn Athletics,” M. Grace Calhoun, director of athletics and recreation, said. Both Mr. Pottruck and Mr. Breier plan to continue their fruitful, ongoing involvement with the Academy, working closely with leaders from Penn Athletics and Wharton to ensure their continued success. Each year, US News & World Report ranks graduate and professional schools in business, medicine, education, law, engineering and nursing. Five of Penn’s schools are in the top 10 list. In the latest rankings (2018), Wharton is up to #1 among MBA programs in a tie with Harvard. The Graduate School of Education moves up from #6 to #3 in a three-way tie with UCLA and University of Wisconsin-Madison. Penn’s School of Nursing is at #3 among master’s programs in nursing. The Perelman School of Medicine dropped to #5 among top medical schools for research and moved up to #8 among top medical schools for primary care in a four-way tie with the Baylor College of Medicine, University of Colorado and the University of Texas Southwestern Medical Center. Penn Law remains at #7. Penn’s School of Engineering & Applied Science remains at #19 in a four-way tie with Johns Hopkins, Northwestern and UC-Santa Barbara. US News does not rank all schools every year, nor does it rank Arts & Sciences as a unit; however, it ranks selected individual disciplines. (-) Indicates not ranked in last year’s edition. Geoffrey Garrett, dean of the Wharton School of the University of Pennsylvania, has announced that Harlan Sands has joined the School as vice dean of finance and administration, chief financial officer and chief administrative officer. 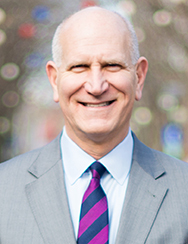 Mr. Sands, W’84, who received his undergraduate degree from Wharton, will lead all finance and administrative functions including Facilities and Operations, Wharton Computing, Human Resources and WRDS (Wharton Research Data Services). He will work collaboratively across the University representing the School with Penn executive and financial leadership and will support Wharton’s Executive Boards of volunteer leaders in the formulation and execution of the School’s strategic priorities. “I am extremely happy to welcome Harlan back to his alma mater. His outstanding expertise, experience and leadership will be a great asset to all Wharton does,” said Dean Garrett. Mr. Sands previously served as senior vice president, finance and administration, chief financial officer/chief operating officer at the University of Louisville. He was responsible for University-wide, day-to-day functions related to financial affairs, business affairs, human resources, information technology, internal audit/institutional compliance and other campus operations. Prior to his position at Louisville, Mr. Sands was vice provost for administration and quality improvement at the University of Alabama at Birmingham. There, Mr. Sands served as the senior operations administrator for the Provost. His responsibilities included budget and finance, enrollment management, and student support operations. He also spent eight years at Florida International University as an associate vice president for research, research center executive director, associate dean of the College of Health and Urban Affairs and faculty member/lecturer in the department of criminal justice. Mr. Sands has over 10 years of military service including positions as a Naval Reserve intelligence manager and special assistant to the director of Naval Intelligence for Technology. He received two Naval Commendation Medals during Operation Desert Storm and a Coast Guard Meritorious Unit Commendation for the Space Shuttle Challenger recovery. Mr. Sands has also served as an assistant public defender in Miami. Besides his Wharton undergraduate degree, Mr. Sands holds a JD from George Mason University and an MBA with a major in finance from George Washington University. Arthur Ross Gallery director Lynn Marsden-Atlass, announces the appointment of Heather Gibson Moqtaderi as assistant director and associate curator of the Arthur Ross Gallery. Since 2011, Ms. Gibson Moqtaderi has been the associate curator and collections manager, Office of the Curator, where among other responsibilities, she researched two important gifts to the University Collection and co-curated The Myron A. and Anne Jaffe Portenar Collection, Courtly Treasurers: The Thomas W. Evans Collection, Surgeon Dentist to Napoleon III, and curated the current exhibition, Landscape/Soundscape, at the Arthur Ross Gallery. Recent exhibitions she independently curated were Duality at the Delaware Art Museum, Perception Shift at Stockton University and Patterns of Consumption at Temple University. Since 2010 Ms. Gibson Moqtaderi has served as adjunct associate professor at Drexel University and in 2011 was an as instructor at Temple University. Previously she was a research assistant at the Philadelphia Museum of Art, and collections manager for the Irvin and Anita Schorsch Collection. Ms. Gibson Moqtaderi received her MA in Early American Culture from the University of Delaware/Winterthur Museum, and a BA from the University of Delaware. In 2011 she was a Royal Oak Scholar at the Attingham Summer School in England. She is a member of several professional organizations. Penn Global is pleased to announce the continuation of the Penn Global Seminars (PGS) program, an initiative that combines an intensive semester-long seminar with a short-term travel component, giving students an unmatched global experience. PGS courses complement Penn’s existing study abroad programs and are ideal for students who wish to explore an academic subject in depth under the guidance of a Penn faculty member. Ten PGS courses will be offered in partnership with the four Penn undergraduate schools during the 2017-2018 academic year. * Course details are subject to change. Travel for Fall courses occurs over the winter break. Spring course travel happens over spring break or in May. Descriptions of each course and application information can be found at https://global.upenn.edu/global-seminars Applications are now being accepted for Fall 2017 courses and are due this Friday, March 24. The PGS program is made possible by contributions from the Provost’s Global Engagement Fund and by a generous donation from the Hasan and Arifa Ahmad Fund. Thanks to these generous funding sources, program participants only pay for the cost of airfare to the program site, and any personal expenses such as immunizations and travel visas. All on the ground logistical costs are covered through Penn Global’s funding. Penn Global partners with Student Financial Services to reevaluate students’ aid packages to offset the cost of airfare and other student expenses when appropriate. Penn Global is committed to making the Global Seminars accessible to all students, regardless of financial background. Contact Nigel Cossar, director, Penn Abroad at ncossar@upenn.edu for more information. Vice Provost for Research Dawn Bonnell announced a membership program in partnership with Penn’s Schools to make the Pennovation Center and its programming available to the broader Penn community. The Pennovation Center’s mission is to support innovators as they translate their discoveries into new solutions and to help them more easily bring their work to the market and to people who need it. This work needs facilities and programming in an atmosphere conducive to innovation. The Pennovation Center is about building relationships and creating an atmosphere for exchanging ideas. A $50,000 fund was created to support 50% of School purchased memberships for faculty members, post-doctoral associates, graduate and undergraduate students and/or recent alumni. A number of membership options offer flexible access to the Pennovation Center with substantive benefit in supporting commercialization of Penn ideas through programming and incubation services. Schools can participate in the program via a short application requesting the number of memberships, describing the proposed activities, and suggesting the benefit from the Pennovation community. Interested individuals should contact their department or school representatives to get more information about this program. The University of Pennsylvania and Incyte Corporation, a Delaware-based biopharmaceutical company, have announced a research alliance to propel advances in cancer biology and immunotherapy. Steven M. Albelda, the William Maul Measey Professor of Medicine, and Gregory L. Beatty, an assistant professor of hematology-oncology, both in the Perelman School of Medicine and the Abramson Cancer Center at the University of Pennsylvania, will co-lead a new oncology research alliance. The multi-year collaboration will bring together drug-discovery and development scientists from both Penn and Incyte to better understand immune responses to cancer and drive innovations in immunotherapy. Immunotherapy, which has become a leading edge method for cancer treatment during the past decade, is a type of treatment that boosts the ability of a person’s immune system to fight diseases such as cancer. “This exciting new alliance between Penn and Incyte is a vital part of our ongoing efforts to support and enhance innovation at Penn and develop strong research and development partnerships with industry,” said John Swartley, associate vice provost for research and managing director of the Penn Center for Innovation. Open and effective communication is essential when it comes to enhancing performance and achieving goals. The Performance and Staff Development Program (the annual performance appraisal program) provides staff and supervisors with a formal process to enhance communication and promote a productive work environment. Valuable information on the performance appraisal process can be found on the Human Resources website at https://www.hr.upenn.edu/myhr/payandperform/appraisal/performance-management-programs A variety of materials is available to guide employees in completing quality appraisals and providing effective performance and professional development feedback. For more information on the Performance and Staff Development Program, contact your school or center’s Human Resources professional or the Division of Human Resources at (215) 898-6093. Penn faculty and senior academic administrators are invited to become discussion leaders for the Penn Reading Project (PRP) 2017. 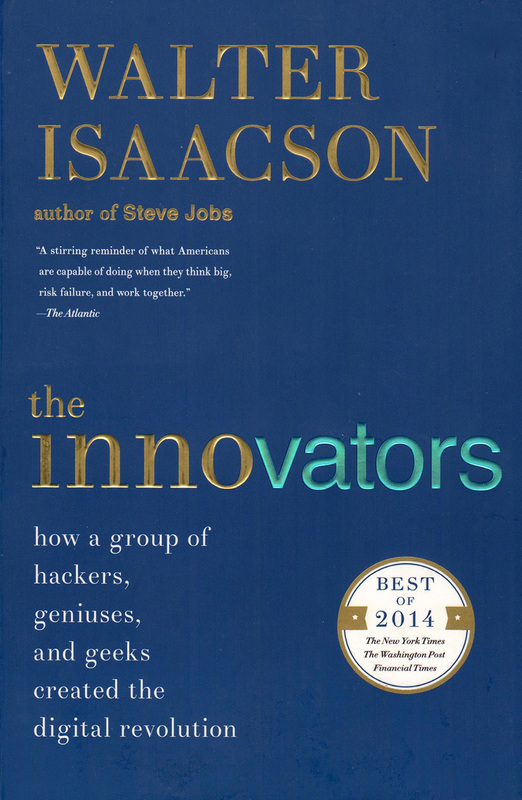 This year’s text is Walter Isaacson’s The Innovators: How a Group of Hackers, Geniuses and Geeks Created the Digital Revolution. The book was chosen by Penn students, faculty and staff in support of the Year of Innovation. On Friday, August 25, groups of first-year students and faculty leaders will discuss the book as part of New Student Orientation (NSO) for the Class of 2021. This year is the 27th PRP, which was created as an introduction for incoming freshmen to academic life at Penn. What were the talents that allowed certain inventors and entrepreneurs to turn their visionary ideas into disruptive realities? What led to their creative leaps? Why did some succeed and others fail? This is the story of how their minds worked and what made them so inventive. It is also a narrative of how their ability to collaborate and master the art of teamwork made them even more creative. For an era that seeks to foster innovation, creativity, and teamwork, The Innovators is “a sweeping and surprisingly tenderhearted history of the digital age” according to The New York Times. This year’s PRP will spotlight innovation in both form and content. For the first time, the text will be available online, in a format that will allow both students and discussion leaders to annotate and comment, and discussion groups will form over the summer and be able to communicate together before arriving on campus for the discussions on August 25, 3:30-4:30 p.m. Leaders are also invited to attend a prep session earlier in the day, and a reception following the PRP. Upon signing up, they will receive a printed copy of the book; early in the summer, they will also gain access to the online site. To sign up for PRP 2017, visit www.prpleaders.org or contact: David Fox, director of NSO and Academic Initiatives, dfox@upenn.edu or (215) 573-5636. Bernard Perry Ottenberg, professor of psychiatry at the University of Pennsylvania, died on March 7. He was 92 years old. Dr. Ottenberg was born in Philadelphia and attended Oak Lane Country Day School and Central High School. He attended Temple University for one year before he was drafted into the US Army and served in South Asia for about three years. After being honorably discharged, he attended Harvard University, earning an AB in 1948 and an MD in 1952. Dr. Ottenberg’s career at Penn began with a residency in psychiatry at HUP in 1952. He became a research fellow in 1956 and was appointed clinical professor in 1970. He retired in 2015. While teaching at Penn, he also maintained a private psychiatry practice which lasted for nearly 60 years. Throughout his career, he published more than 100 articles in psychiatric journals and general newspapers, many of which are included in the manuscript collection Psychiatry and Social Issues. Dr. Ottenberg was a member and leader of the Group for the Advancement of Psychiatry. He was also active on the American Friends Service Committee, the Viola W. Bernard Foundation and the boards of Moore College of Art & Design and the Pennsylvania Academy of Fine Arts. Dr. Ottenberg is survived by his wife of 65 years, June (Chamberlain), a retired Temple University professor of music; four children; nine grandchildren; and two great grandchildren. A memorial service will be announced in a few weeks. Chair’s Report. Faculty Senate Chair Laura Perna informed SEC members of two upcoming events. The Center for Teaching and Learning, with co-sponsorship of the Faculty Senate, will host “Inclusive Learning: A Community Conversation” on Friday April 7, 11 a.m. at the Van Pelt Library Kislak Center. The Senate Committee on Faculty and the Academic Mission (SCOF) will host a panel discussion on the future of online learning at Penn, on Tuesday, April 4, at 4 p.m. More information on the latter panel will be made available on the Senate website and Facebook page. Past-Chair’s Report. A report was not provided. Inclusion Report. Vice Provost for Faculty Anita Allen reviewed with SEC members the 2017 Inclusion Report (see Supplement), which summarizes the University’s progress on the 2011 Five-Year Action Plan for Faculty Diversity and Excellence. Since 2011, Penn has hired women and minorities more robustly, diversified its academic leadership, elevated its standing among Ivy Plus peers, sustained a high level of faculty satisfaction, generated institutional infrastructure and awareness of the problem and its potential solutions, and exceeded its initial commitment to spend $100 million toward diversity initiatives. She described progress in increasing the representation of underrepresented minorities (URMs), women, and minorities and noted the attention in the report to LGBTQ faculty. She explained that Penn conceives of “inclusion” broadly, and includes veteran status among the descriptors of inclusion. PSOM established the Office of Inclusion and Diversity and the position of Vice Dean for Inclusion and Diversity, which Dr. Eve Higginbotham occupies. She suggested that schools wishing to establish similar structures may wish to consult with Dr. Higginbotham and PSOM to identify their best practices in doing so. Vice Provost Allen suggested that faculty diversity leads to diversification of teaching and research and is a path to eminence. She concluded that the challenge for Penn will be to sustain and improve its work toward inclusion by requiring schools to update their school action plans, adding a dual-career expert to the Vice Provost’s staff and addressing implicit bias. Vice Provost Allen then replied to questions and comments from SEC members. Report on the Economic Status of the Faculty. Co-Chairs of the 2016-2017 Senate Committee on the Economic Status of the Faculty (SCESF), Susan Margulies (SEAS/Bioengineering) and Robert Stine (Wharton), reviewed the 2017 SCESF report (Almanac February 28, 2017) with SEC members. The report includes attention to the process by which schools set salaries, merit raise data for faculty in FY2016, salary comparisons across peer institutions, certain faculty benefits compared to peers and gender inequity in salaries. General merit raises for faculty are set annually by the Budget Steering Committee; in 2016, the targeted average increase was 3%. The report recommends that the dataset provided to SCESF be expanded to include all Standing Faculty; data on faculty in the C-E track or in the Perelman School of Medicine (PSOM) clinical departments, which together comprise more than half of the total Standing Faculty, are not currently included. The report further recommends that peer data be used to benchmark annual faculty salary increases, employer contributions to retirement benefits be increased to match peer competitors, and the persistent gender inequity in faculty be addressed. Gender inequity is especially pronounced at the associate professor rank. The SCESF co-Chairs replied to questions and comments from SEC members. Discussion on Upcoming Senate Activities. Professor Perna informed SEC members that the Ad Hoc Committee on Government Engagement will hold its first meeting on March 22 and will be chaired by Neill Epperson (PSOM/Psychiatry). Dr. Epperson noted that membership comprised faculty from several different schools and included both SEC members and non-SEC members. She noted that the first meeting of the committee will focus on identifying the committee’s short- and longer-term goals and priorities. 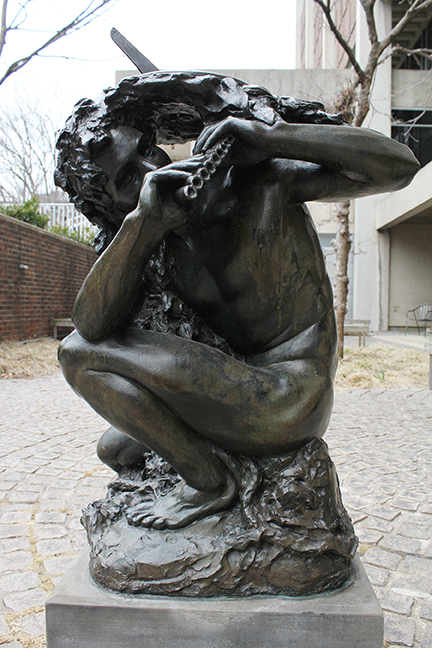 Several works by women sculptors are located outdoors on Penn’s campus, many in and around Van Pelt-Dietrich Library. For example, Penn’s famous Split Button (1981) of aluminum painted white, located in Blanche Levy Park between the Library and College Hall (Almanac July 14, 1981), was created by internationally renowned Swedish-American artist Claes Oldenburg in collaboration with Coosje van Bruggen, his wife and a sculptor and art critic in her own right. Its four holes recall Philadelphia founder William Penn’s design for laying out the center of the city around four symmetrically placed parks. The Button, as it is popularly called, measures 16 feet in diameter, weighs over 5,000 pounds, and today serves as an unofficial central landmark and focal point of Penn’s campus. Children and adults alike can always be found popping out of the sculpture’s holes and posing for a picture. A legend exists that attributes the Split Button to the University’s founder, Benjamin Franklin. According to the legend, a button popped off the seated Franklin sculpture’s vest and rolled across Locust Walk. It eventually came to a stop and split into two—hence becoming today’s sculpture. 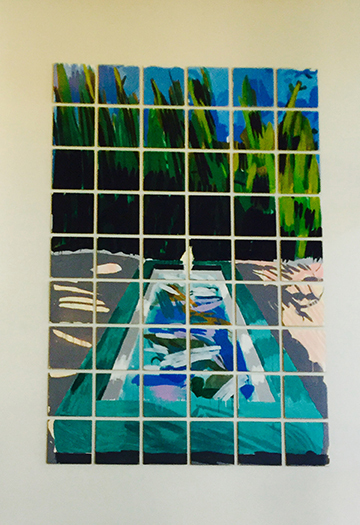 The mural In the Garden, by American-born Jennifer Bartlett, a prominent contemporary painter, is scattered throughout the library in numerous pieces. It was formerly in the Institute for Scientific Information (ISI). The mural consists of painted enamel steel plates that portray the garden behind the villa Ms. Bartlett lived in while visiting Nice, France. The focus of her mural is a rectangular pool. Beatrice Fenton’s bronze Pan with Sundial (1938), offering beauty and whimsy to the Class of 1972 Reading Garden outside Van Pelt Library, was donated in memory of William Stansfield by his wife. Beatrice Fenton (1887-1983) was in the artistic circle of Philadelphia painter Thomas Eakins. The Eakins’ painting The Coral Necklace (Butler Institute of American Art, Youngstown, Ohio) features her reclining in a chair, wearing a coral necklace. After the completion of the New College House at Hill Square, Jenny Holzer’s 125 Years once again lines the walkway between 33rd and 34th Streets. 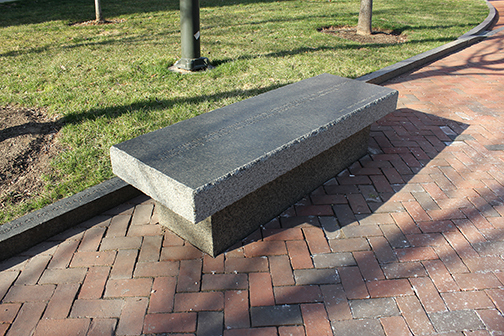 Originally installed in 2003, this extensive outdoor artwork consists of granite benches and curbs which are inscribed with text (Almanac November 25, 2003). For the inscriptions, Ms. Holzer curated a selection of quotations by Penn-affiliated women to celebrate the 125th anniversary of women’s enrollment at Penn. Ms. Holzer is an American conceptual artist known for her large-scale public displays. In addition to these sculptures, the University Art Collection includes numerous prints and paintings by women. 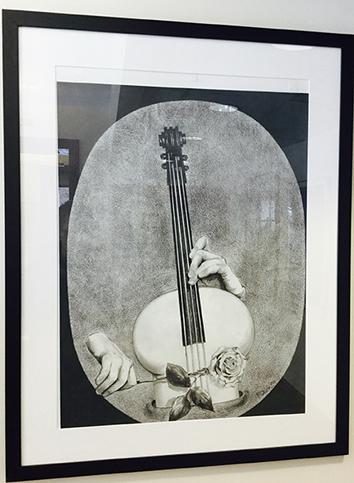 A small selection of such artworks is on display at the Penn Women’s Center including Reva Urban’s print from Fantasy Series. A Conversation with Penn President Amy Gutmann & The Honorable Joseph R. Biden, Jr. will take place on Thursday, March 30, from 3:30-5 p.m. in Irvine Auditorium. Tickets for this event with the 47th vice president of the United States, who was recently named Benjamin Franklin Presidential Practice Professor (Almanac February 14, 2017), sold out rapidly. Therefore, the event will be webcast live at https://president.upenn.edu/bidenevent-3-30-17 on March 30 at 3:30 p.m. This conversation is sponsored by Penn’s Office of the President, the Penn Biden Center for Diplomacy & Global Engagement and the Perry World House. Improve your skills and get ahead in your career by taking advantage of the many development opportunities provided by HR. You can register for programs by visiting knowledgelink.upenn.edu or contacting Learning and Education at (215) 898-3400. Networking for Success; 4/4; 12:30-1:30 p.m.; free. How do we gain power and influence in the workplace? Network, network, network! Learn how to network by building and creating new connections and nourishing current relationships. Communicating Upward; 4/11; 9 a.m.-noon; $75. A positive working relationship with a manager hinges on effective communication, whether it’s face-to-face or in written form. Communicating upward is essential to the success of an organization for employees to get their ideas up the ladder and into the hands of top decision-makers. In this interactive workshop, participants will learn about communication styles in general and then focus on their specific communication style versus their manager’s. Using communication to boost productivity and efficiency, using listening and questioning effectively, and even disagreeing with your manager are all ways that lead to agreeable solutions. Career Growth Conversations; 4/12; 12:30 -1:30 p.m.; free. Career growth requires a plan. In this session we review how to create a career plan and engage the support of your manager where possible. TED Talk Tuesday—Dan Pink: The Puzzle of Motivation; 4/18; 12:30-1:30 p.m.; free. Watch and discuss Dan Pink’s TED Talk on the “Puzzle of Motivation.” Career analyst Dan Pink connects the dots between motivation and performance. He explains why rewards rarely boost productivity. He argues that “autonomy, mastery and purpose” are the only factors that truly motivate people. Accountability & Empowerment; 4/21; 9 a.m.-noon; $75. Accountability is one of the biggest challenges leaders face, but it can also be one of the most important factors leading to success. This interactive workshop will transform the way you manage, maintain and motivate yourself, your team and, ultimately, your workforce. Lack of accountability is the single greatest obstacle facing even the most experienced leaders. It saps morale and disenfranchises employees—and it can shift your team into crisis mode on a daily basis. Learning with Lynda: Leading and Working in Teams; 4/26; 12:30-1:30 p.m.; free. In the online Lynda module, Leading and Working in Teams, Harvard Business School professor Amy Edmondson reveals how high performance arises when teams are encouraged to take risks, fail and learn from those small failures, a process she calls “teaming.” In this course, she outlines what leaders can do to create the right environment for teaming and explains the responsibilities of individual team members to speak up, collaborate, experiment and reflect. Learning with Lynda utilizes the University’s enterprise-wide license of Lynda.com to provide a blended learning solution to the Penn campus. Prior to attending the in-class session it is strongly recommended that you take the online Lynda module, “Leading and Working in Teams.” During the classroom session we apply the concepts from the module. FeedForward: Coaching for the Future; 4/28; 12:30-1:30 p.m.; free. FeedForward is leadership coach Marshall Goldsmith’s technique for providing feedback in a more positive, future-oriented manner. In this program managers will learn how to use FeedForward for providing feedback to employees. Guided Meditation; 4/4 and 4/25; noon-1 p.m.; free. Practice mindful breathing that focuses your attention on the present moment with kindness, compassion and awareness. Self-massage and gentle mindful movements that promote relaxation and reduce stress may also be included in the workshop. No experience necessary. Mindfulness Monday; 4/10; 12:30–1:30 p.m.; free. Mindfulness is “paying attention, on purpose, in the present moment, non-judgmentally,” said Jon Kabat-Zinn, founder of minfulness-based stress reduction. Mindfulness practice develops awareness of your present thoughts and feelings to help you manage different situations. In this once-a-month experiential workshop, you’ll see how mindfulness can help you become more engaged and effective both at home and in the workplace. No prior meditation experience necessary. Breastfeeding Resource Group: Integrating Breastfeeding and Work; 4/11; noon-1 p.m.; free. This interactive conversation, led by April Rosenblum, an international board certified lactation consultant, will provide an opportunity for expecting, new and experienced parents on campus to get help with breastfeeding challenges, ensure a smooth transition back to work and academics and share helpful tips with one another. If you are breastfeeding, pumping and bottle-feeding; pregnant and thinking about breastfeeding; or formula-feeding and curious about breastfeeding, this conversation is for you. This event, co-sponsored by Penn’s Family Resource Center and the Division of Human Resources, is open to Penn faculty, staff, students, post-docs and their partners. Please feel free to bring your lunch. Adapting to and Managing Change; 4/11; 12:30-1:30 p.m.; free. Everyone faces changes and challenges that can be stressful, distracting, and at times, overwhelming. This workshop, led by the EAP, will provide short and long-term strategies for embracing and dealing with personal and professional life changes. Caregiving and Sibling Warfare; 4/19; 11:30 a.m.-12:30 p.m.; free. Siblings can be our best friends, toughest critics or partners in crime growing up. But once we’re adults, siblings can make caring for an aging parent challenging. One of the greatest sources of stress around caregiving is sibling discord. Learn how to focus on the present, address sibling conflict, achieve consensus as much as possible and manage your own stress. The College Search: Selecting a Potential Major and Program of Study; 4/20; 12:30-1:30 p.m.; free. Join staff from Penn’s undergraduate admissions office for discussion and tips in working with your college bound dependent, faced with hundreds of choices, in selecting a potential major and program of study. How might that selection of program impact their admission review? Take Our Daughters and Sons to Work Day; 4/27; free. A unique opportunity for staff and faculty to share a career development experience with kids between 9 and 15 years. You must have your supervisor’s approval to participate and you must accompany your young guests to all activities. The Psychology of Eating: Does It Really Come Down to Willpower? ; 4/6; noon-1 p.m.; free. Do you feel like you have all the willpower in the world and still don’t always stick with your plan? Come and learn brain tools and tricks to overcoming eating challenges. Join Elizabeth May, a Family Food registered dietitian, who will cover mindfulness, intuitive eating and stress management. Body Pump; 4/10; 11 a.m.-noon; free. Here’s a toning and conditioning class with weights that’s for everybody! It’s perfect for anyone who wants to add strength training into their aerobic workout. You won’t know if you don’t go. So meet the challenge and reap the rewards! Get to Know What’s Healthy at Houston Market; 4/25; 11-11:30 a.m.; free. Join Dan Connolly, Bon Appétit’s registered dietitian nutritionist, on an interesting tour of the many delicious, healthy options in Houston Market. Meet him at Houston Hall’s Information Desk, where he will give a brief history of Bon Appétit and explain the elements of a healthy meal. Then, you’ll follow him downstairs, where he’ll walk you through the various food stations and explain how you, too, can eat healthy at Houston Market! Gentle Yoga; noon-1 p.m.; 4/25; free. Let your body reward itself with movement! Join us for this Gentle Yoga session and explore the natural movements of the spine with slow and fluid moving bends and soft twists. During this session, you will flow into modified sun salutations that loosen those tightened muscles and joints of the lower back, neck, shoulders and wrists. And as an added bonus, you’ll get a workout in the process. Mats and props will be provided. Tour of the James G. Kaskey Memorial Park-BioPond; 10:30-10:50 a.m. and 11:30-11:50 a.m.; 4/27; free. Join Joshua Darfler, greenhouse and garden manager, for a brief tour of the park. Learn about the history of the oldest greenspace on campus and hear fascinating facts about the amazing plants growing in the garden and greenhouse today! Tours will meet by the BioPond. April Wellness Walk; 4/28; noon-1 p.m.; free. It has been proven that spending more time outside reduces stress, increases energy levels and boosts immunity. Meet the Center for Public Health Initiatives staff at noon in front of College Hall by the Ben Franklin statue, then walk to the Schuylkill Boardwalk and back. The walk will be approximately two miles and we will inform you when we have reached the one mile mark in the event that you need to exit the walk early. Bring your water bottle and don’t forget your sneakers! This walk is a great way to participate in Penn’s Green Campus Partnership 30x30 Challenge and Penn’s StayWell HealthyTrails Challenge. Spinning; 4/28;1-2 p.m.; free. Pedal your way to a fantastic workout indoors! With the use of stationary cycles, each class is led on a “virtual” outdoor road, complete with a variety of exercises. This class will give you an energizing, calorie-burning, fun workout and it is great for all fitness levels because you will always ride at a self-directed pace. Benefits Open Enrollment and Wellness Fair; 4/18; 10 a.m.-2 p.m.; free. At the Open Enrollment and Wellness Fair at Houston Hall, Penn faculty and staff can take advantage of free health screenings and other wellness activities. Representatives from Penn’s healthcare insurance providers and administrators will be onsite to share information and answer questions. Learn about medical plans, prescription drug coverage, dental plans, vision coverage, flexible spending accounts and the Penn Benefits Center. 22 Like Arms and Armors: Jesuit Books and the Libraries in Early Modernity; Natale Vacalebre; 6 p.m.; rm. 627, Van Pelt-Dietrich Library (Italian Studies). Rescheduled from March 15. The MarchAT PENN calendar is here. The deadline for the May AT PENN calendar is April 11. 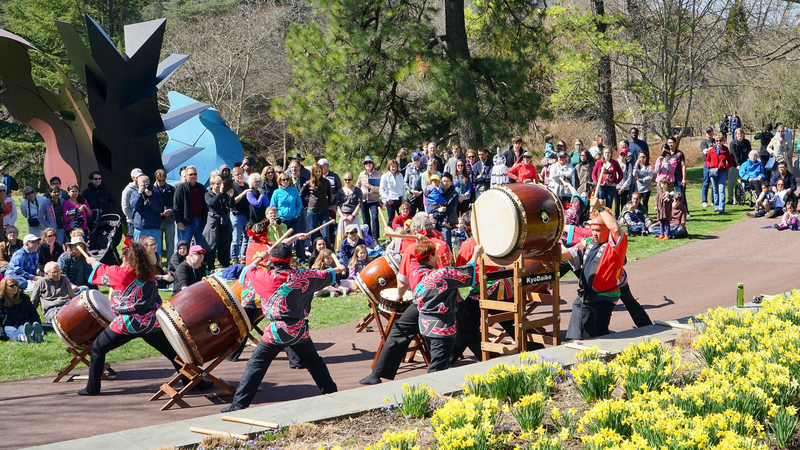 This spring, Morris Arboretum will once again host its annual Japanese Cherry Blossom Celebration, in partnership with the Subaru Cherry Blossom Festival of Greater Philadelphia. The Festival is an initiative of the Japan America Society of Greater Philadelphia with the goal of fostering a better understanding of the cultural, social and educational customs of Japan in the United States. In the early 20th century, John and Lydia Morris (founders of the Arboretum) established one of the finest collections of Japanese plants and gardens in the region at their home, Compton, which would later become the Arboretum. To commemorate this heritage, the Arboretum celebrates the Japanese Cherry Blossom Festival on Saturday, April 8 and Saturday, April 15, 10 a.m.-3 p.m. with a variety of activities for both children and adults, and will celebrate the art, culture and gardens inspired by the more than 35 varieties of cherry trees that grace the Arboretum with their blossoms each spring. New this year, the Arboretum will offer Pop-Up Cherry Blossom Tours so visitors may view the cherries during their peak. Keep an eye on the Arboretum website for dates when the abundance of flowering Cherries will be in bloom. One-hour Pop-Up Cherry Blossom Tours will begin at 1 p.m. daily, throughout the peak bloom time. Typically, the peak is hard to define, but it is usually based on the height of flowering of the Yoshino cherries (Prunus × yedoensis). Two groups in Washington study the weather extensively to predict the peak bloom time including, The National Park Service, and Washington Post’s Capital Weather Gang. The mid-point of these two predictions is March 22-25. Philadelphia Yoshino cherries flower about seven to 10 days after those in Washington, DC, so expect peak time to be somewhere around March 29-31. The weather may affect the height of flowering. Experience the beauty of Morris Arboretum’s cherry tree collection in bloom. Both Saturdays will feature traditional Japanese cultural activities. All events are free with regular admission. Cherry Walk both Saturdays, 10:15 a.m. and 12:15 p.m.; meet at Garden Rail entrance. Visitors are invited to discover and appreciate the variety of cherry species planted throughout the Arboretum. This 45-minute walk will be led by an Arboretum expert. Space is limited. Kyo Daiko Drumming Crew both Saturdays, 10:30 a.m. and noon. Taiko drumming has been practiced in Japan for hundreds of years at festivals, battles, and as a means of communication over long distances. A combination of choreography and drumming, taiko drumming is physically demanding and visually compelling. Kyo Daiko, under the sponsorship of the Japan America Society of Greater Philadelphia, is a community-based taiko drumming group offering classes in the Wynnefield section of Philadelphia. Samurai Arts Group, April 8, 11:30 a.m.; Two Lines sculpture (sun only). The River of Life Martial Arts & Wellness Center will perform the ancient Japanese swordsmanship technique, Kenjutsu. Used by the samurai on the battlefield, Kenjutsu is made up of a sophisticated method of personal combat and strategy that is adapted and applied today to find harmony in one’s life. From these ancient lessons, the practitioner finds the ability to remain calm under pressure, to face one’s fears with strength, to have clarity in the midst of confusion and to surmount obstacles with grace. Traditional Japanese Tea Demonstration, April 8, 1 p.m.; Oak Allée Plaza (rain location: Upper Gallery). Ryurei is a table-style tea ceremony developed in the late 19th century to accommodate foreign visitors to Japan. The misonodana, or imperial garden table, is featured in this presentation by Drew Hanson of the Boukakuan Japanese Tea House and Garden. Weather permitting, the demonstration will be outside. Japanese Garden Elements Tours, both Satudays, 2-3 p.m.; meet at Garden Rail entrance. Led by an Arboretum docent, this tour will highlight the Arboretum’s Japanese-style gardens. Kimono Dressing Demonstration, April 15, 11 a.m.; Upper Gallery. Young and old alike will delight in the beautiful kimonos exhibited by Fumiyo Batta. As a “Cultural Ambassador” for the Festival, Mrs. Batta has given numerous classes and demonstrations, including seminars on the art of kimono, traditional Japanese attire, since the festival’s inception in 1998, and has been considered a significant Japanese cultural asset to the Delaware county area for the past two decades. As an extensive collector of kimonos, she will talk about the history of the kimono and demonstrate how to wear them. Participation from the audience will be welcomed. Origami Workshops, April 15, 1 and 2 p.m.; Upper Gallery. Learn how to make an origami crane under the tutelage of local resident and Japanese native Yuki Flores. This art form of paper folding has been practiced for centuries and become a lasting symbol of traditional Japanese culture. Kyo Daiko Drumming Crew will perform at the Festival both Saturdays, 10:30 a.m. and noon. About the Crime Report: Below are all Crimes Against Persons, Property and Crimes Against Society from the campus report for March 6-12, 2017. View prior weeks' reports. —Ed. This summary is prepared by the Division of Public Safety and includes all criminal incidents reported and made known to the University Police Department between the dates of March 6-12, 2017. The University Police actively patrol from Market Street to Baltimore Avenue and from the Schuylkill River to 43rd Street in conjunction with the Philadelphia Police. In this effort to provide you with a thorough and accurate report on public safety concerns, we hope that your increased awareness will lessen the opportunity for crime. For any concerns or suggestions regarding this report, please call the Division of Public Safety at (215) 898-4482. Below are the Crimes Against Persons from the 18th District: 1 incident with 0 arrests (1 assault) were reported between March 6-12, 2017 by the 18th District covering the Schuylkill River to 49th Street & Market Street to Woodland Avenue. Another tip in a series provided by the Offices of Information Systems & Computing and Audit, Compliance & Privacy. Knowing how to change your password and retrieve information about your account if you have forgotten your username or password is the first step to taking control of the security of your online information. If you have been using the same password for several different accounts, if you suspect your account has been accessed without your consent or if you once shared your password with someone, it’s time to change your password. Any time you suspect that an online account may have been accessed without your consent, you should always change your password immediately, even if your current password still works. If the account in question involves a PennKey or access to Penn resources you should also contact security@upenn.edu as soon as possible. Remember, you should not be using your PennKey password for any other online account. • If you have forgotten your PennKey username or password, click “Forgot my username/password” on the PennKey website and follow the instructions for resetting your password, based on your Penn affiliation. • Enrolling in the PennKey Recovery Service can help you reset your password more quickly if you forget your PennKey username or password in the future. Click “PennKey Recovery Service Settings” to enroll. • Two-step Verification adds an extra layer of security to your PennKey by asking you to sign in with something you know (your password) and also something you have (a numeric code sent to your phone or to a keychain fob), preventing someone who merely knows your password from logging in using your PennKey. • Duo Mobile is a mobile application available to Penn users that further streamlines the Two-step Verification process. Using these tools will help you keep Penn’s informational assets more secure.